This lake condo is a very different kind of place, it's not where you drag your troubles, concerns and your ego. The lake will become your church and sanctuary so consequently you’ll realize that one of the primary benefits of this condo is that it doesn’t show itself any more than it must, instead it exists in the shadows of the trees and the banks of the lake and does little to change the setting. You’ll find it an hour and a half drive from Birmingham. 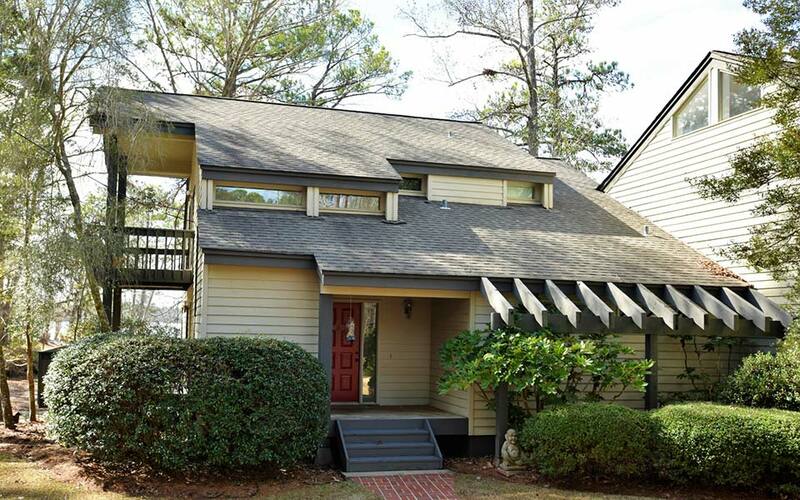 This lovely 3 BR, 2.5 BA, water front condo located on Willow Point Lane at beautiful Lake Martin offers your family an easily accessible refuge. Located in a 24-hour gated community that offers the amenities of a country club to include golf, pool, tennis and social activities. Enjoy your lake side patio dock with floating boat dock for boats, jet-skis, kayaks and sun and fun without the sharp edges of the Gulf Coast. Beautifully appointed hardwood floors, stone fireplace, lots of windows, decks, blue stone patio and much more! The open floorplan brings the living room, kitchen and dining room together and offers tranquil views and magnificent lake sunsets. It's hard to describe exactly what it is that will year after year and generation after generation draw you and your family to the charming waters of Lake Martin. Maybe it's the warm glow of the early morning sunrise, birds flying in formation, the ripples of the water behind the boats wake, or evenings on your deck watching the day come to an end. Whatever it is that may draw you here, after your stay you'll leave inspired and restored looking for a way to soon capture it again.